Every far-right upsurge in the US over the past 40 years has been powered by different rightist currents coming together. In the 1980s, the convergence between Klan and Nazi forces — which had distrusted each other for half a century — gave us the modern white nationalist movement. In the 1990s, the explosion of Patriot/militia groups was fueled by a new mix of white nationalism, Christian Reconstructionism, John Birch-style conspiracism and gun rights ideology. 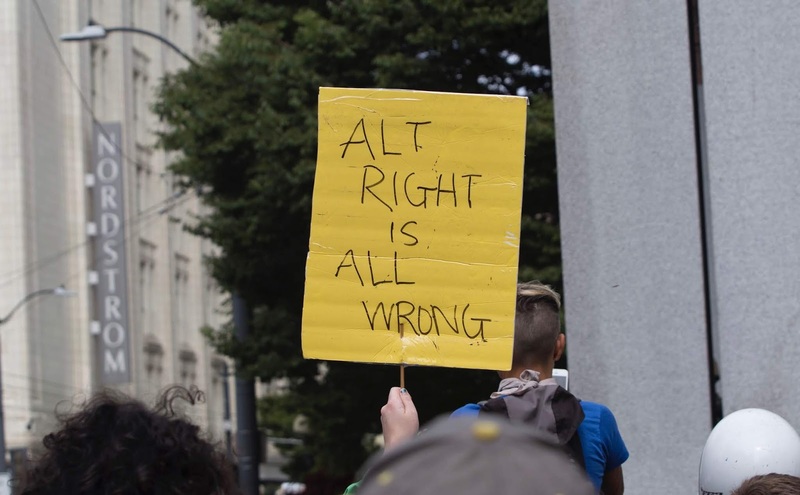 Over the past decade, the rise of the “alt-right” has followed the same dynamic. Federal security forces do their job clumsily at times and skillfully at others, are subject to a variety of internal biases and external pressures, and have to contend with shifting political circumstances. Fundamentally, however, their purpose is to protect ruling-class power. Broadly speaking, paramilitary rightists serve that purpose when they defend the existing order, and clash with that purpose when they seek to overthrow it. As many “alt-rightists” have understood clearly from the beginning, Donald Trump is not a far rightist. His policies are racist but not white nationalist (because he doesn’t advocate a white ethno-state and the mass expulsion of people of color) and authoritarian but not fascist (because he wants to suppress opponents but doesn’t aim to impose one totalitarian ideology on all spheres of society). Also, unlike fascists, he did not build an independent organization, but instead cobbled together an elite coalition of “America First” nationalists and mainstream conservatives, and over time the latter have mostly come out on top. Despite some inconsistent steps away from the establishment line on free trade and foreign policy, Trump’s main impact has been to intensify conventional conservative policies, such as deregulating industry, making the tax system even more regressive and making life even harder for undocumented immigrants. To be clear, Trump isn’t just more of the same. He builds on his predecessors (Republican and Democrat), but he is qualitatively worse than them. Trump is accelerating the decline of the United States’ liberal-pluralist system (often mislabeled “democracy”), and his rise has helped to mobilize popular forces that have the potential to turn toward more insurgent forms of right-wing politics. In this situation, it’s important for leftists to join with others in opposing the growth of repression, demonization and supremacist violence. At the same time, it’s also important for us to strengthen and amplify our own critiques of the established order, our own visions of radical change — and not let far rightists present themselves as the only real opposition force. Photo credit: By Tiffany Von Arnim. August 13, 2017 Patriot Prayer and Solidarity Against Hate demonstrations in Seattle. [CC BY 2.0], via Wikimedia Commons.